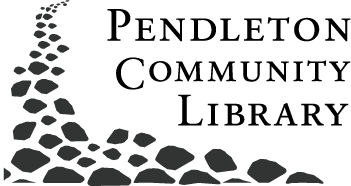 The Pendleton Community Public Library has a vast collection of local history resources, specific to Pendleton and Madison County, Indiana. This photo, circa 1920, is one of our favorites from the Pendleton Collection. It depicts a young couple and a mischievous photo bomb. This is just one of the many gems that can be found in the library's Pendleton Collection. The collection includes Pendleton Heights High School yearbooks, Markleville yearbooks, cemetery records, historic maps, family histories, two Chautauqua from Pendleton pamphlets, and photo collections. The library also provides access to local newspapers on microfilm, including The Pendleton Times and The Pendleton Gazette, dating all the way back to 1899. But, sometimes the BEST local resources aren't in book form. The library has two cabinets that house collections of various materials. Click below to see a complete listing of what's in the library's local history cabinets. Our friendly Reference Librarian is always happy to assist with your local research, even if you are contacting us from afar!